The new Lamy A 303 Premium Edition pen case will accept three Lamy pens, as well as those from other manufacturers. Made from fine-grained black leather, the flap of the A303 features a de-bossed lined design, as well as a magnetic closure. 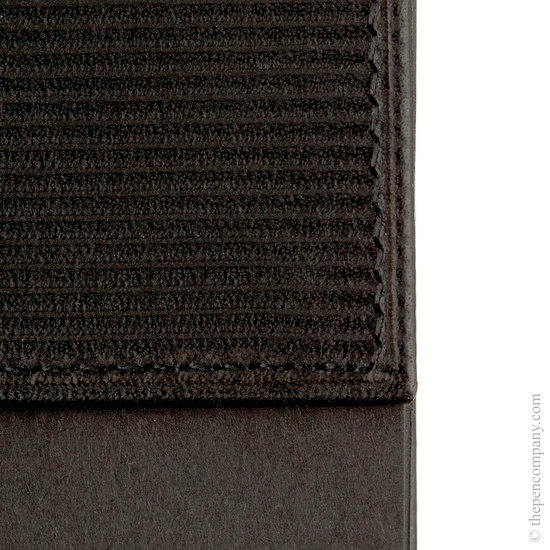 For added protection, there are two fold-down internal dividers to separate the pens. There are no loops, but there are two dividing flaps. 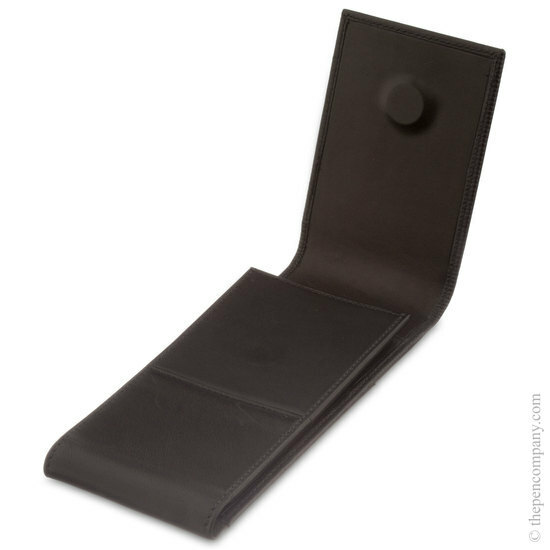 The flaps will lie down, but are designed to keep the pens separate. 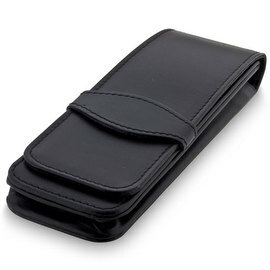 If the case is used to hold more than three pens the pens will touch and could become marked. Having said that, the case will hold your 5 pens. 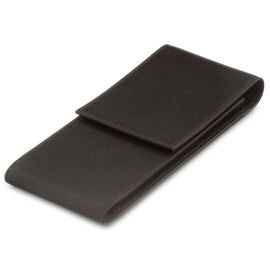 The A303 and A203 pen cases are of the same design, but the A303 is made of a higher quality, fine grain leather. The A303 also features a ribbed embossed finish on the flap, whereas the A302 uses the same leather throughout.